Girraween National Park is an area of the Granite Belt in the Darling Downs region of Queensland, Australia reserved as a national park. Girraween is known for its spectacular flowers, dramatic landscapes and unique wildlife. The Granite Belt is an area of the Great Dividing Range in the Darling Downs region of Queensland, Australia. Enjoy the many activities happening in the area, all year round. Comfortable and cosy country house accommodation. Comfortable and cosy accommodation in the heart of south east Queensland's Granite Belt wine region. 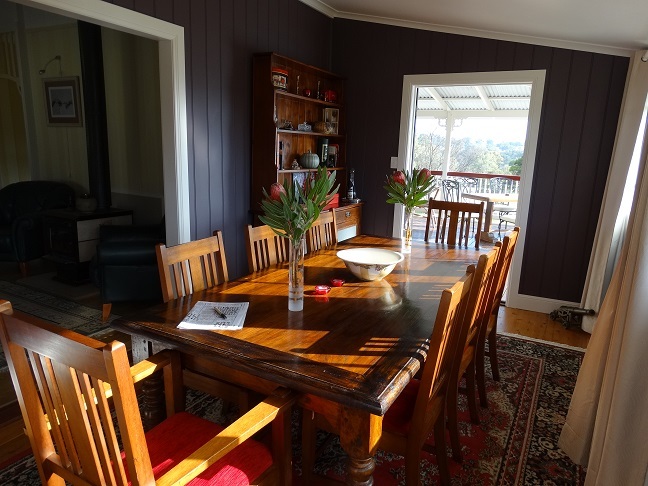 Relax with family or friends in our fully renovated three bedroom Queenslander and enjoy the quiet country setting while sampling award-winning local food and wine. Granite Belt vineyards on your doorstep, Girraween over your back fence.